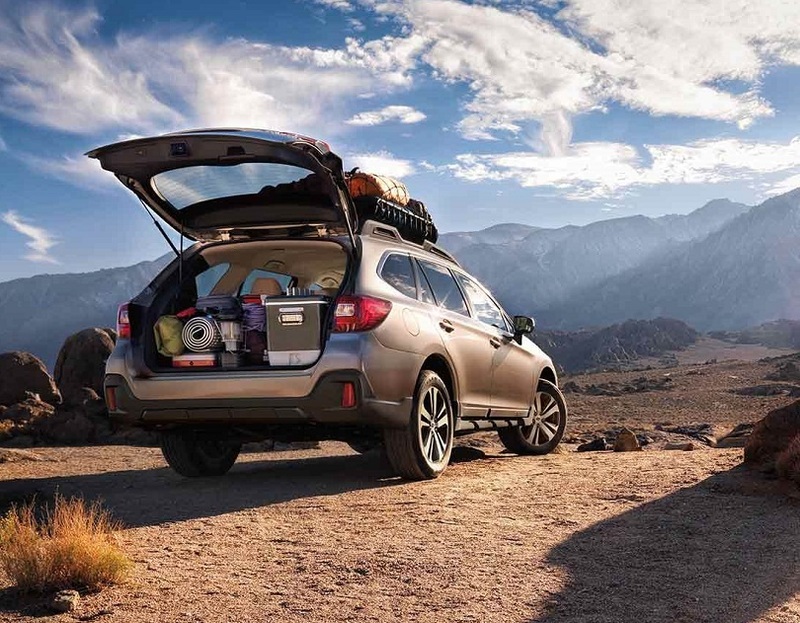 The 2019 Subaru Outback was built to last and designed to impress. As a matter of fact, this vehicle is durable and reliable. Whether you're the adventurous type who loves the outdoors or you enjoy peaceful drives up the coast, this vehicle has something to offer you. The 2019 Outback models are the 2.5i, 2.5i Premium, 2.5i Limited, 2.5i Touring, 3.6R Limited and 3.6R Touring. Take a look at this overview of the models so you can get an idea of what to expect from each one. The 2.5i model has raised roof rails with integrated cross bars and symmetrical all-wheel drive with X-Mode. The 2.5i Premium model offers STARLINK Safety and an all-weather package. The 2.5i Limited model has upgraded leather trim and a power rear gate. The 2.5i Touring has low-profile roof rails and a power moon roof. The 3.6R Limited has a 256 horsepower engine. The 3.6R Touring has a GPS navigation system and a heated steering wheel. When you visit our dealer serving Thornton Colorado, you can view all of the Outback vehicles that we have in our inventory. If you don't see one on our lot serving Thornton Colorado, you can build your own Outback according to your desires. Visit or call us and we'll show you how to save at Flatirons Subaru. Our sporty crossover comes in these exterior colors - Crystal Pearl White, Crimson Red Pearl, Dark Blue Pearl, Magnetite Gray Metallic, Crystal Black Silica, Wilderness Green Metallic, Twilight Blue Metallic, Tungsten Metallic and Ice Silver Metallic. Noteworthy exterior features include ground clearance of up to 8.7 inches, LED lights, black folding side mirrors, body color door handles and retractable roof crossbars. Our popular crossover has seating for 5 passengers (including the driver). Key interior features include a 60/40 split-folding rear seatback, power seats with memory and a power rear gate. Advanced technology features in this midsize crossover include hands-free smart phone pairing, voice-activated navigation, an 8-inch touchscreen and integration with Apple CarPlay, Android Auto and Pandora. Its interior color and upholstery options are Java Brown Leather, Slate Black Leather, Titanium Gray Leather, Warm Ivory Cloth, Titanium Gray Cloth and Slate Black Cloth. 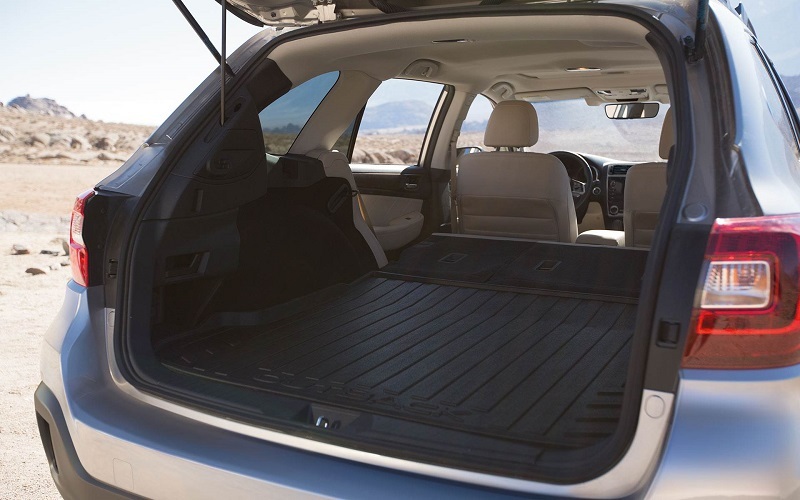 This vehicle has up to 73.3 cubic feet of cargo space. This is perfect for weekend and holiday getaways. Mechanical features on this crossover include antilock brakes, X-Mode and vehicle dynamics control. You can get the entire specifications of this automobile's mechanical features by contacting our dealership. This attractive crossover has up to 256 horsepower depending on the trim model. It has a maximum towing capacity of up to 2.700 pounds. The engines offered on this midsize crossover are a 2.5L DOHC engine and a 3.6L DOHC engine. It also has a Lineartronic Continuously Variable Transmission. This includes incline start assist, Hill Holder, adaptive control and a 6-speed manual mode that includes paddle shifters. This automobile offers safety and security. In fact, last year's model scored a 5-star rating on crash tests with the National Highway Traffic Safety Administration. In addition to its safety awards, this midsize crossover has a few key safety and security features. Available safety features include LED steering responsive headlights, a rear-vision camera, blind-spot detection, active torque vectoring and reverse automatic braking. STARLINK is our premier safety package that includes automatic collision notification, stolen vehicle recovery and enhanced roadside assistance. At Flatirons Subaru, our mission is to improve the automobile sales process. This means that you can expect prompt and courteous service when you visit our dealership in the Thornton area. We offer fair and competitive deals without haggling over the sticker price. Now is a great time to save at Flatirons Subaru. When it's time for you to select your new 2019 Subaru, we won't waste your time. Before you view our cars, a salesperson will have a short consultation with you to determine exactly what you're trying to find. We like to get to know our customers and their vehicle needs. In addition to our sales department, we have a reputable repair service center. Whether you need an oil change or a transmission service, you can book your appointment online at any time. Our parts department sells only premium Subaru parts. If internet shopping is more convenient for you than visiting our dealership, you can order your vehicle parts online. As you can see, Flatirons serving Thornton Colorado is a full-service dealership. Be sure to visit our website regularly to look at our current deals and specials on vehicle, parts and services. 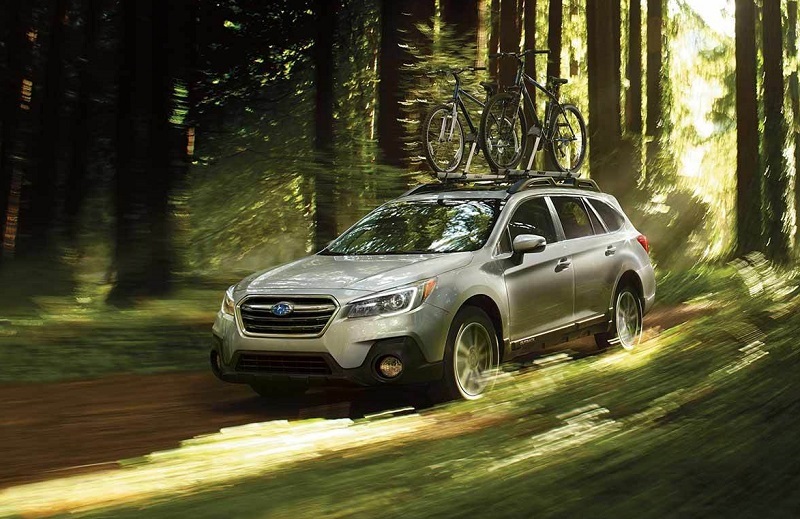 By purchasing your 2019 Subaru Outback from our dealer, you can save at Flatirons Subaru. Visit or contact our Thornton area dealership today. *This information is intended to be used for informational purposes only. Our sales and service specials are subject to change without notice. 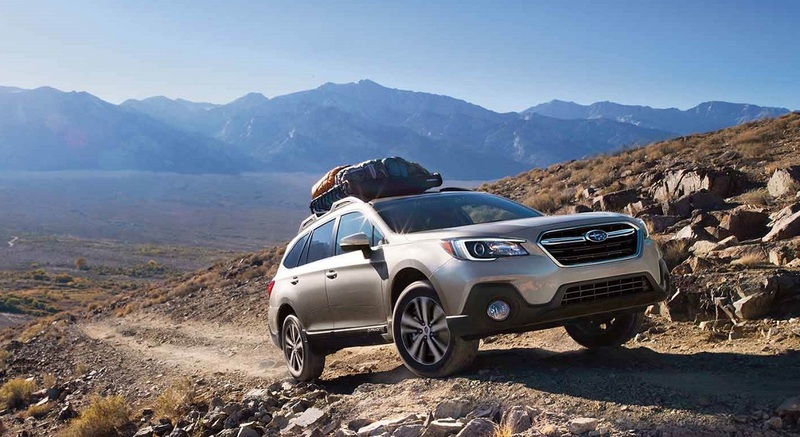 Please contact our dealership serving the Thornton area to learn more about the 2019 Subaru Outback.